These money saving coupons will help make your next garage door repair, garage door replacement, or maintenance service even more affordable! Call us at 610-837-4738 for additional details on these specials. Click on a coupon below to print! A broken garage door spring is all it takes to put your family and property at risk. There is no mistaking the awful sound of a garage door spring breaking, but what can you do when this happens? The inability to open or close your garage door is far more than an inconvenience and it is not something the average homeowner is able to repair alone. Replacing garage door springs or performing any garage door repair requires special skills and special tools. 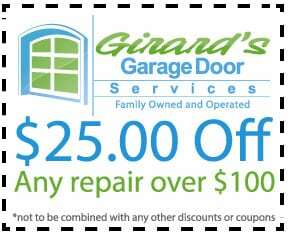 Family owned and operated, Girard’s Garage Door Services provides you with an affordable way to fix garage door springs, garage door openers, and even replace garage doors. We handle everything from emergency garage door opener service to installing brand new Amarr garage doors, Clopay garage doors, and many other respected brands. 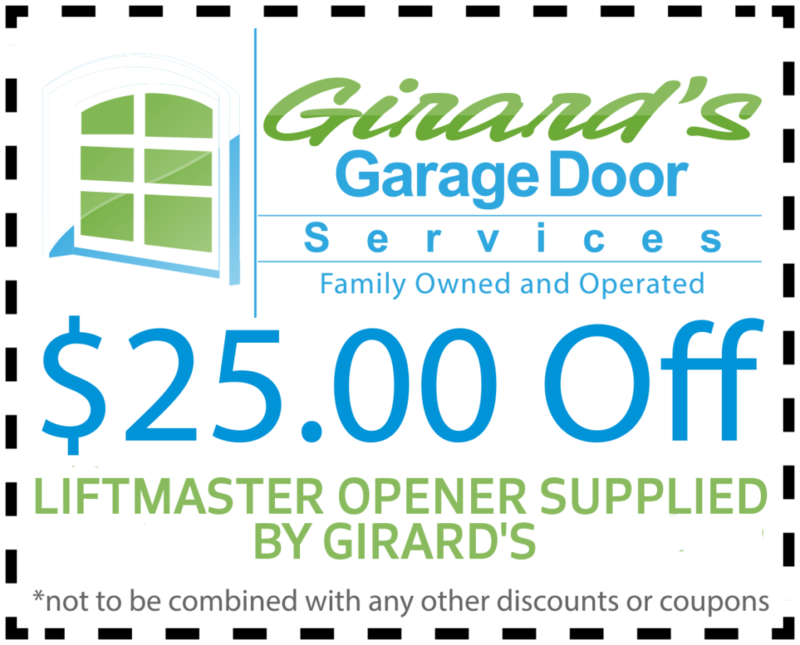 At Girard’s Garage Door Services, we are committed to the highest level of customer service. The best way to determine if your garage door can be repaired through service or needs replacement is to call your local professionally trained garage door experts at Girard’s Garage Door Services. Residential garage door repair, garage door installation, and garage door opener repair is our only business! When you need fast, affordable, garage door repair in eastern Pennsylvania or western New Jersey, Girard’s Garage Door Services has the name brand garage door parts and garage door springs you need. Our team of professionals can fix garage door springs and provide other garage door repair in no time at all. We also provide emergency garage door repair within hours of your phone call. At Girard’s Garage Door Services, we understand the importance of the security and privacy provided by your garage door. Repairs are provided right away, so that you, your family, and your property will be safe and sound. New Amarr garage doors and Clopay garage doors are an affordable way to increase the value of your home and improve its appearance. 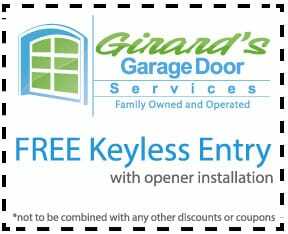 Girard’s Garage Door Services offers discounts and special savings on new garage door parts and garage door installation. Best of all our garage doors installers can provide you with replacement garage doors in a matter of hours, minimizing disruption to your family. 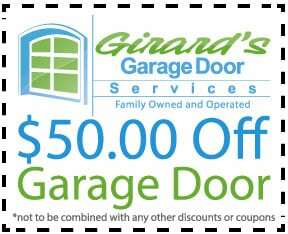 To find out how easy it is, call Girard’s Garage Door Services today at 610-837-4738 to see just how much you can save! There is never a good time for a garage door opener remote control to stop working. If you are on your way to work, you must choose between leaving your home unprotected or being late for work. On the other hand, if it happens at the end of your day, you’re already worn out and ready to relax, but now you can’t get in! When this happens, simply call Girard’s Garage Door Services at 610-837-4738 and we will be on our way. One call is all it takes to find out about our current specials on a new LiftMaster garage door opener, Genie garage door opener, Craftsman garage door opener, or Sears garage door opener and garage door opener repair. We’ll have your garage door opener remote working or replaced in no time.